Update: Only English (Sec 1) & PSLE Maths books collected by Peiqin. left. P&H is $1.50 for English and $2 each for the math and science guides. This entry was posted in Books, Children, Freed - off to a new loving owner ♥, School, Singapore and tagged books, English, freecycle, guide, math, school, science, study. The book’s hard cover is torn on the back of the binding edge. The pages are yellowed. This entry was posted in Books, Freed - off to a new loving owner ♥, Sci-fi and tagged book, freecycle, Sci-fi. This entry was posted in Books, Freecycling, Mysteries & Thrillers, Sci-fi and tagged book, freecycle, thriller. This entry was posted in Books, Freed - off to a new loving owner ♥, Romances and tagged book, freecycle, Romance. Sept 1: Only books on the extreme left is still available. (Top & Bottom Row)collected by Peiqin on Sept 20th. Updates: P6 Model Composition has been posted out to Dhanya. All other books are still available. For the thicker books P&H is $2.50, thinner books are $2 or $1.50. It’s best if you can self collect. This entry was posted in Books, Children, Freed - off to a new loving owner ♥, School, Singapore and tagged books, English, freecycle, guides, school. This entry was posted in Apparels, Freecycling, Freed - off to a new loving owner ♥ and tagged apparels, freecycle, freecycling, Lacy, mini, skirt. This entry was posted in Books, Freecycling, Romances and tagged book, freecycle, freecycling, Romance. This book is sadly missing its first 22 pages, only the short story in front is affected. As the glue used for the book binding is poor its other pages are coming loose too. Needs to be read and handled with care. This entry was posted in Books, Freed - off to a new loving owner ♥, Ghost & Horror, Singapore and tagged book, damaged, freecycle, freecycling, ghost, Singapore. This entry was posted in Books, Freecycling, Ghost & Horror, Singapore and tagged book, freecycle, freecycling, ghost, Singapore. Item posted to new owner, Justin. This entry was posted in Books, Freed - off to a new loving owner ♥, Ghost & Horror, Singapore and tagged book, freecycle, freecycling, ghost, horror, Lee, Russell. 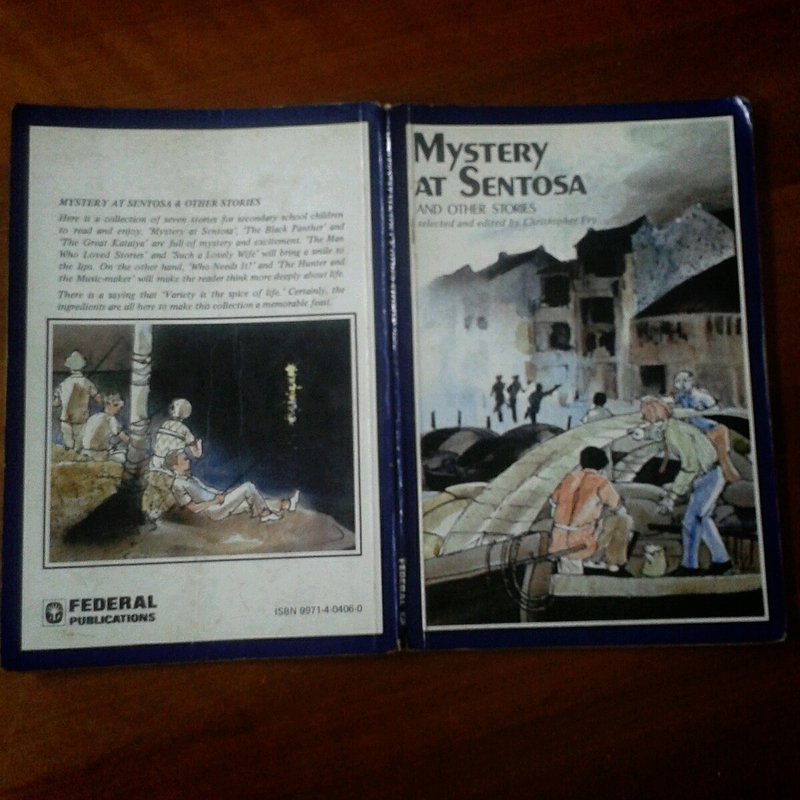 This entry was posted in Books, Children, Freecycling, Mysteries & Thrillers, Singapore and tagged book, freecycle, freecycling, mystery. bear with naturally different size ears 🙂 It’s sitting on a green cleaning cushion pad. Please transfer $1 for P&H. This entry was posted in Accessories, Cute, Freecycling and tagged bear, cellphone cleaner, freecycle, freecycling. Little Animal Stories, A Hole in her Pocket and other stories. Hard cover books that are rather heavy and please note that it is rather old so the covers have some damage. Pages are yellowed but readable. This entry was posted in Books, Children, Freed - off to a new loving owner ♥ and tagged Blyton, books, Enid, freecycle, freecycling. Famous Five, X-files. If Amelia does not collect the books, it will go to the next interested party. This entry was posted in Books, Freed - off to a new loving owner ♥, Mysteries & Thrillers and tagged books, Famous Five, freecycle, freecycling, mystery, X-files. 1000 pieces Jigsaw of Kitty & Rabbit. This entry was posted in Cute, Freecycling and tagged bunny, freecycle, freecycling, jigsaw, kitty. Please note that this is for the accessory only. This entry was posted in Accessories, Cute, Freecycling and tagged accessory, cellphone, Smiley. This entry was posted in Accessories, Children, Cute, Freecycling and tagged accessory, Dalmatian, puppy. Self collection from Choa Chu Kang Ave 2 or you can transfer the amount for postage & handling $0.80. This entry was posted in Children, Cute, Freecycling and tagged freecycling, toy.